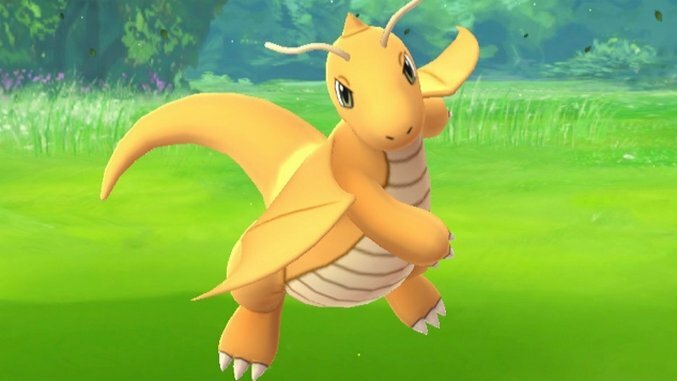 Everyone has their favorite Pokémon, but which Pokémon are the best in Pokémon Go? Pokémon Go is now bigger than The Beatles and Jesus and Hamilton, all rolled into one. You’ve downloaded it and caught hundreds of Pidgeys and Rattatas and evolved a handful of Pokemon, and taken over the local gym for whatever team you now hold dearer than your alma mater. The question now is: What’s the best Pokemon to use your precious Stardust on to power up? With help from all the Pokémon Go stats floating around the Internet, we’ve ranked which Pokemon are most effective in attacking and holding gyms. We’ve prioritized attack and defense, while still taking stamina and match-ups into account. Of course, there are multiple factors in every gym battle beyond a Pokémon’s attack, defense and stamina: CP, move effectiveness, move types (and how effective they are against your opponent) and Same Type Attack Bonus (or STAB, when your moves match your Pokémon type). Of course, most of the fun of this game is capturing new Pokémon that you like. But the following guide is a good place to start when looking at leveling up for gyms. We’ve left out Legendary Pokémon, like Mewtwo, Mew, Articuno, Moltres and Zapdos, but if you can find one, let us know. And finally, note that the “Most effective against” assumes that your moves match your Pokémon type. You can also check out the 100 Best Pokemon of All Time. More than any other Pokémon in Pokémon Go, Gengar looks like it’s out for trouble. And why not? It’s a poisonous ghost. Gengar evolves from Haunter, which evolves from Gastly, making it relatively rare in the game so far (at least around Atlanta). This feline humanoid has no evolutions in Pokémon Go, but is ready to fight as soon as it’s captured with high attack value making up for its low stamina. Aerodactyl has a big attack, but it’s stamina and defense keep it from being further up our list of best Pokémon. Of course, on looks alone, it’s hard to beat this flying fossil. If you’re already afraid of bugs, Scyther is your new nightmare. A reptilian head on an insectoid body with razor-sharp scythes for forearms which can slice through logs like an infomercial knife through a tomato. In Pokémon Go, Scyther’s defense is slightly better than its still-potent attack. Part rhinoceros, part dinosaur, Rhydon is a high-stamina, versatile Pokémon who can crush diamonds and knock over buildings. He evolves from Rhyhorn. While it may be the least powerful of the Eevee evolutions, Jolteon still packs a charge. To ensure that your Eevee turns into a Jolteon, just name it “Sparky” before it evolves. Ponyta evolves into Rapidash, a high-attack fiery unicorn Pokémon that will have anyone visiting your gym jealous they don’t have it. Pinsir doesn’t evolve from or into anything else, so capturing him can give you an instant gym-worthy Pokémon with solid attack and defense numbers. One of the many Fire-type Pokémon, the volcano-dwelling Magmar has become a popular choice for gyms with its huge attack bonus. The sea-lion-like Dewgong doesn’t have the most powerful attack, but it’s a solid defender. This psychedelic, sleep-inducing Pokémon will eat your dreams. Seriously, what else do you need to know? This two-headed, foul-smelling toxic Pokémon has solid attack and defense numbers but is weak against Steel, Ground, Rock and Ghost types. This fossilized shellfish has very good attack and defense numbers and is versatile against several types of opponents. Ninetales’ longevity translates into high defense. It also probably looks cooler than whatever else you were going to leave in the gym. Low stamina is Cloyster’s big weakness, but attack and defense are both high, so with a good primary move, Cloyster can be surprisingly effective. Victreebel has a huge attack, but depending on its move types, it can be mismatched against many of the most common Pokémon you’ll encounter. Tentacool looks so chill and then evolves into this bad boy with super-high defensive capabilities. This deep-water sea-star-like Pokémon communicates telepathically and has high offense, high defense and low stamina. With its powerful attack, Golduck is a solid, versatile fighter in the gym, so keep catching those Psyducks. This fossil Pokémon is based on the extinct ammonite group of cephalopods and evolves from Omanyte. It’s defensive power and favorable match-ups against Fire Pokémon make it a good choice to leave in the gym.